In 1973, Lou Adler and Elmer Valentine, with help from original partners, David Geffen, Elliot Roberts and Peter Asher, opened the now world-famous music venue. Their dream to open a state of the art venue where artists of all musical genres felt at home became a reality on September 20th, 1973. The grand opening was celebrated by a 3 night performance by Neil Young. The first year featured headliners such as Cheech and Chong, Jerry Lewis, The Temptations and Frank Zappa. 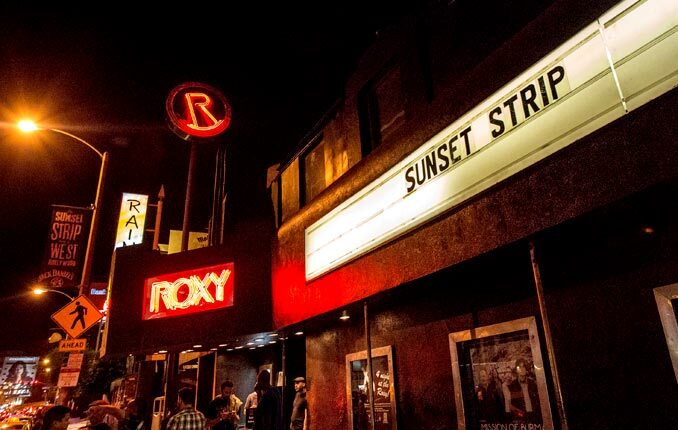 Over the past 40 years, The Roxy has been a launching platform for aspiring artists and a home for those that are well established in the industry.